With its Type 23 license (small beer manufacturer) the Museum of Beer will operate as a nano brewery. The 3.5-barrel brew system will serve as more than an educational component of the tour, it will also be an experimental venue for local brewers, a collaboration center, and a place where home brewers can take their craft to the next level. Special MoB beer releases will be available for visitors to sample in the Tasting Room, alongside dozens of other great San Diego creations. The MoB food & beverage component will be a spacious bar and tasting space that will host more than 65 rotating taps from San Diego’s finest and most popular breweries. The beer list will be curated by San Diego craft beer authority, Bruce Glassman, as will the sensory and educational program, which will include special beer flights, beer-and-food pairings, and other special events. The MoB Tasting Room will be open to the public—separate from museum admission—and will become a singular craft beer destination of its very own. Special contributions from local brewers—like cheese from CheeseSmith and an unparalleled bottle collection of rare and limited releases—will make Museum of Beer one of downtown’s most popular food and beer venues. The museum has partnered with Master Pizzaiolo, Chip Schloss, of Firecracker Pizza to install and run a world-class style pizzeria. Chip only sources the finest local ingredients to fuel his super creative gastronomic creations, which will also be developed to enhance and broaden the beer tasting experience of all guests. MoB has already established deep connections with key players in the corporate events and convention industries. In addition, MoB plans a robust marketing and national advertising campaign that will attract meeting planners, events coordinators, and tourism professionals from all over the globe. These connections will make Museum of Beer a high-demand location for meetings and special events, and will create a significant parallel revenue stream that will be year-round and highly profitable. To maximize guest engagement, MoB’s Primary Exhibits will be augmented with a wide variety of additional elements that will keep visitors immersed in the MoB experience no matter where they are in the museum. Multiple smaller exhibits and fun activities will include a “Tap Handle Wall of Fame,” a giant magnetic poetry wall, educational infographics, a beer pong challenge for prizes, murals made out of bottle caps, visually awesome photo ops, and beer-themed games in the Tasting Room. The “Hoppy Times” is the museum’s digital community platform that allows for a free and constant connection with past guests. It’s an e-newsletter taken to the next level. At the point of purchasing a ticket, the visitor becomes a “MoB’ster,” which is MoB’s de facto loyalty program. This digital connection will continue the conversation far beyond the initial visit and will make all patrons from past and present accessible for promotions, sales, and community building. Hoppy Times will also provide direct access to its target market while it amasses data that can be used to focus future programming, community outreach, and marketing efforts. 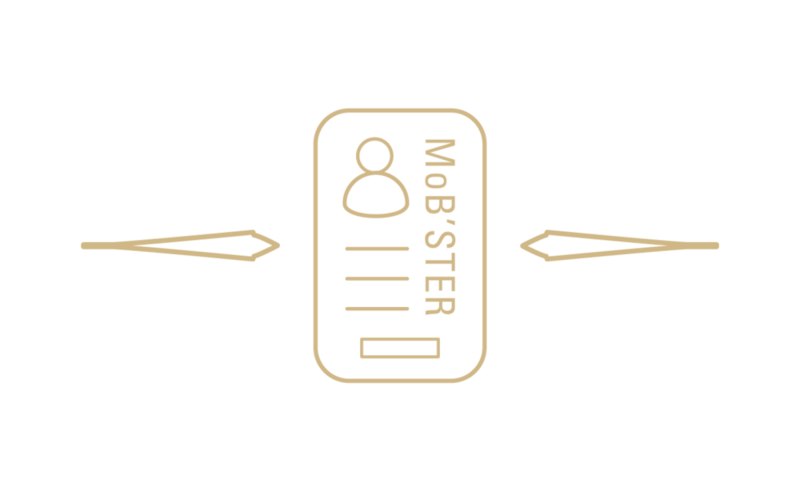 As a “MoB’ster,” each guest’s journey will be captured electronically through pictures, beer recipes they have created, challenges they have taken, and educational interactions they have experienced. This “memory book” of information will be sent via email or text as the first edition of the “Hoppy Times.” Special offerings from breweries, partners, restaurants and other regional attractions will be included as an added-value benefit. With this resource, the museum will create its own media outlet that can be utilized in countless ways to keep beer enthusiasts coming back time and again. At the completion of their exhibits experience, guests will be immersed in the MoB Merch Tank, which will offer a wide array of MoB-branded gifts, clothing, and media, in addition to a uniquely engaging collection of San Diego brewery merchandise and incredible beer-related gadgets.